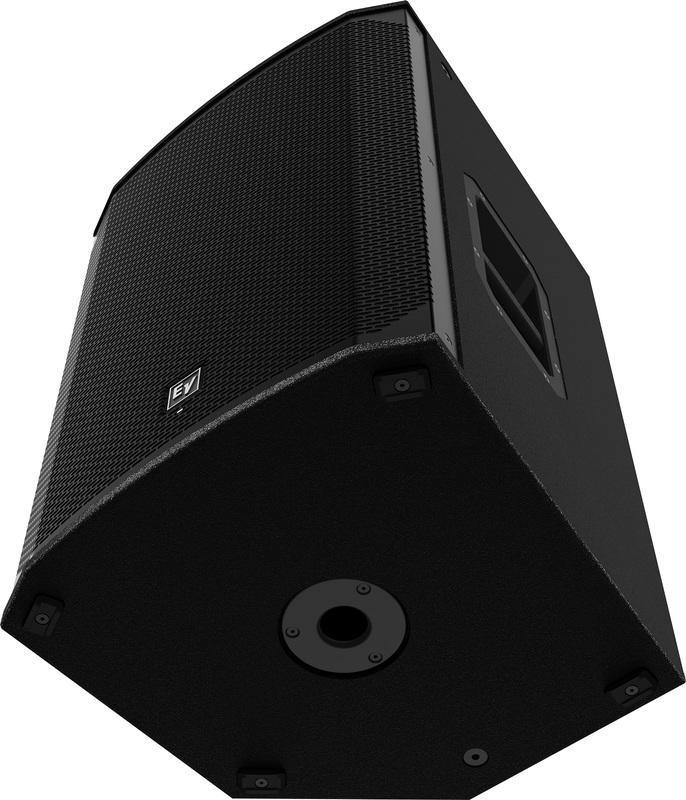 The EKX-15P is powered by a highly efficient Class-D 1500W amplifier. That's a ton of available power for a single loudspeaker! The EKX-15P's amplifier coupled with EV's superior driver design provides up to 134 dB of maximum SPL. The EKX-15P's intelligent thermal management system includes a variable-speed fan that is controlled by multiple onboard sensors that are constantly monitoring internal temperature. 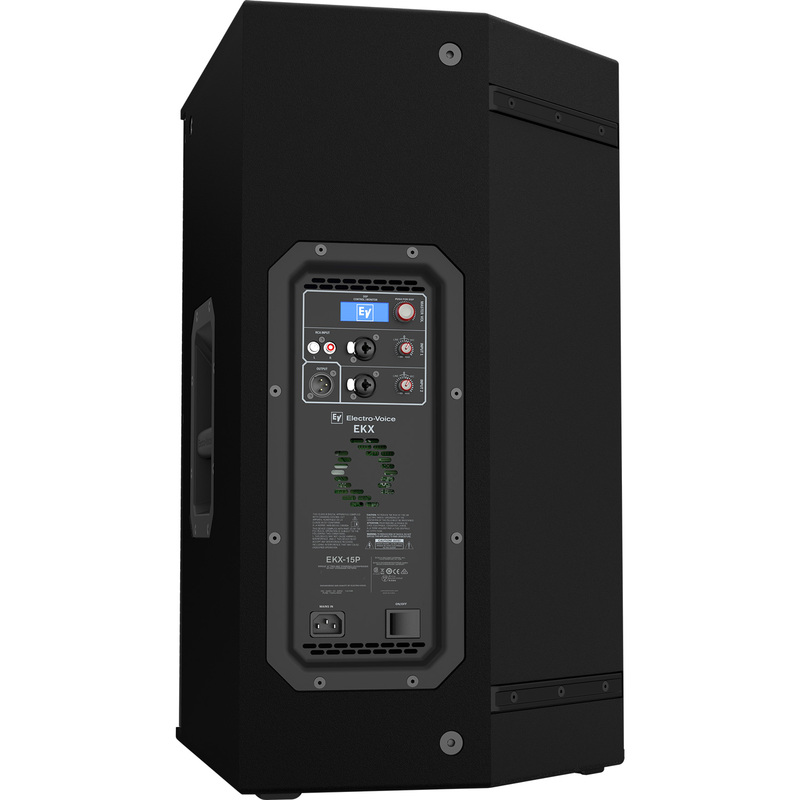 The EKX-15P is designed for ease of use and features a variety of input connections. For professional equipment, both of the 2 inputs feature XLR & 1/4" combination jacks that can accept mic or line level signals. This is great for single musicians/performers as they can plug a microphone into the speaker directly and not have to worry about a mixer. Input 1 also features stereo RCA inputs for any kind of consumer or professional playback device for pre-recorded music. EV-patented Signal Synchronized Transducers™ (SST) waveguide design provides precise and consistent coverage. 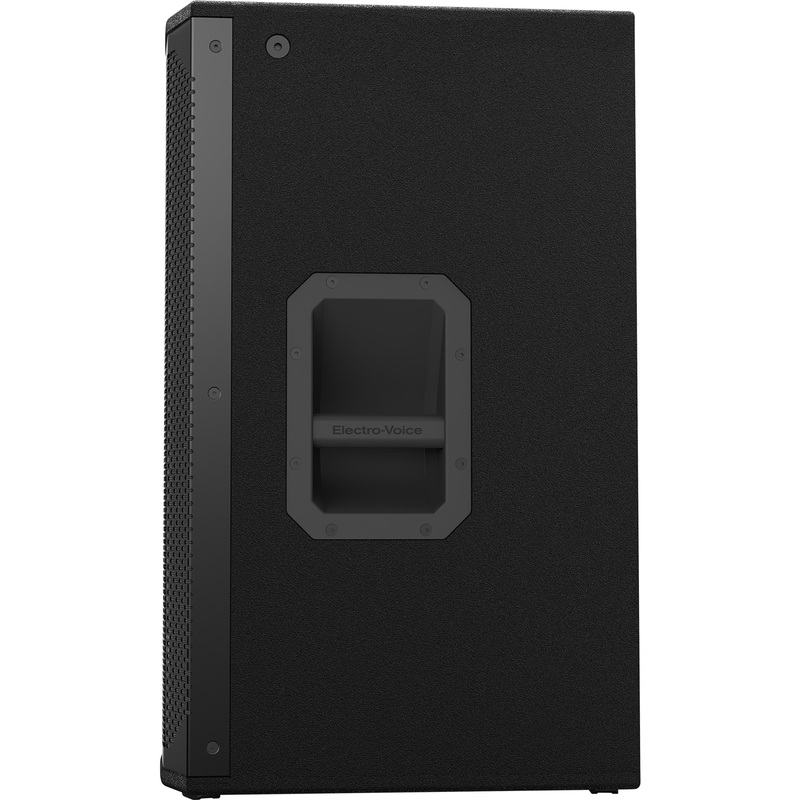 This is accomplished by time aligning the low frequency driver with the high frequency driver so that sound in the entire audible frequency range arrives at the listening position in perfect phase.